Yesterday, Johnny Cupcakes released its highly anticipated Power Rangers T-Shirt Collection! With the franchise about to be rebooted with a super sleek, big budget live action movie, the Power Rangers are back and better than ever. 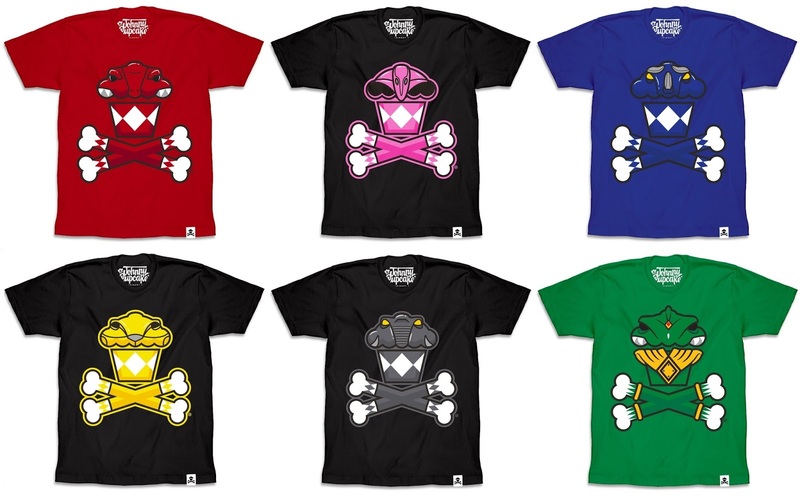 This killer new tee collection pays homage to the original Mighty Morphin Power Rangers television series. 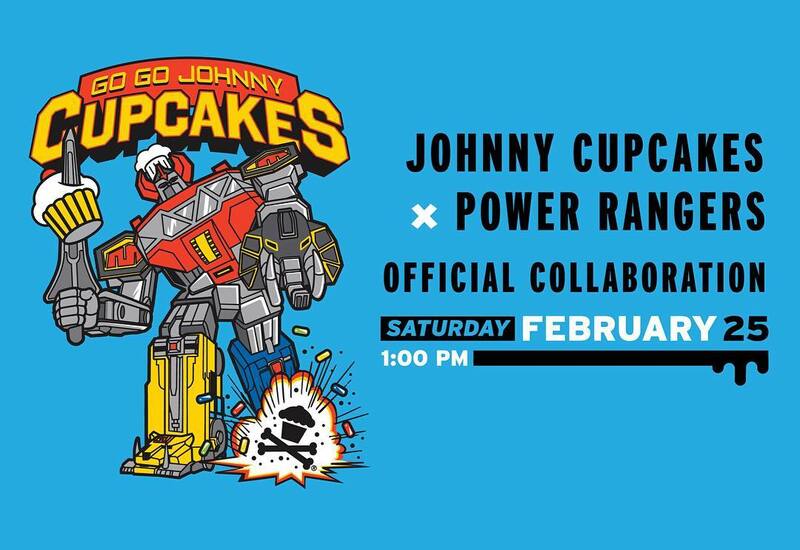 Along with seven Power Rangers Crossbones designs – one for each member of the Power Rangers – there’s also a cool cupcake themed Megazord design and a shirt featuring the evil Rita Repulsa’s Putty Patrol. 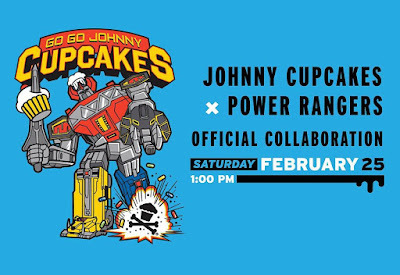 The Power Rangers x Johnny Cupcakes T-Shirt Collection is available now online at the Johnny Cupcakes website. 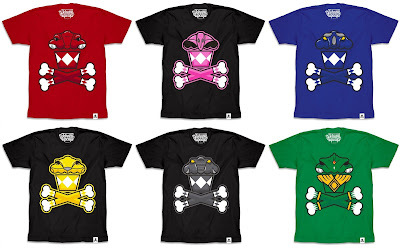 Each tee is available in guys and girls styles, sizes S-XXXL, for $39.99. 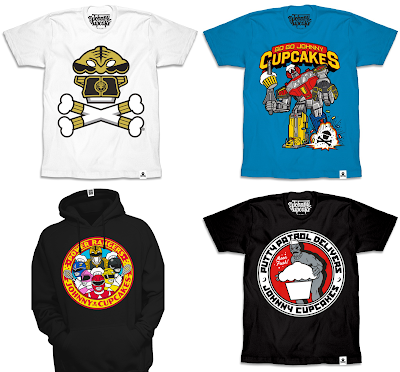 There’s also an awesome Mighty Morphin Power Rangers hoodie, poster, pin pack, ‘zine and stickers up for sale too!